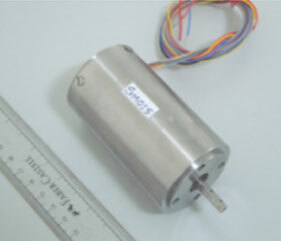 The 22.5 deg Permanent Magnet stepper motor is designed and developed by SonaSPEED. The same is qualified by VSSC, ISRO for use in the Mixture Ratio Control (MRC) actuators for the CRYO liquid engines of ISRO launch vehicles. The MRC actuators using Sona Make stepper motor has successfully performed in the recent ISR GSLV MK III D2 mission and previous D1 mission plus two GSLV missions so far. This entry was posted in SonaSpeed News on November 15, 2018 by admin.